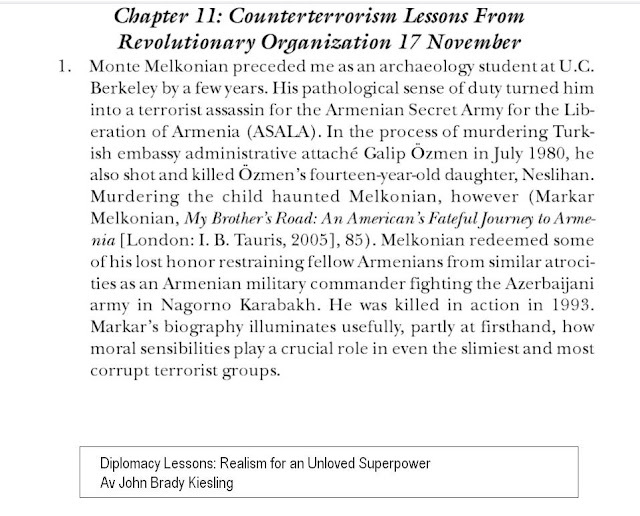 3668) Would The Armenian Terrorist Monté Melkonian Be A Hero ? 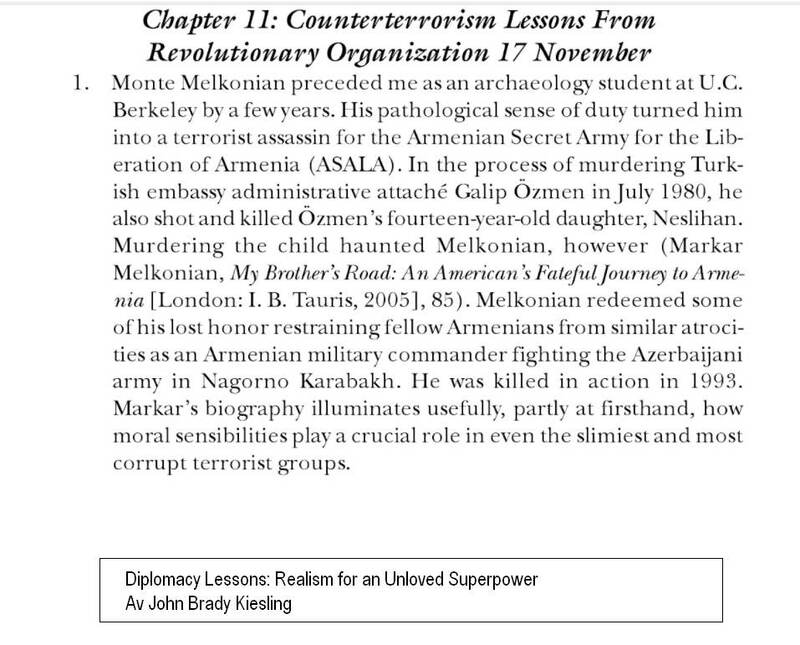 Monté Melkonian: Armenian Resistance Hero Or A Terrorist? Died 25 years ago, Monté Melkonian (1957-1993), his life and his struggles, pose an essential and troubling question: is violent action, in some cases, justifiable? His brother Markar dedicated a book to this extraordinary existence. Summer 1969, El Grao de Castellón, south of Spain. The couple came to live here a few months, to discover Europe to his offspring. Children take Spanish classes at a small college. One day, the teacher turns to the youngest member of the family, Monté, 11, and asks, "Where are you from?" The kid answers that he comes from California. "I mean, where do your ancestors come from?" Says Señorita Blanca. 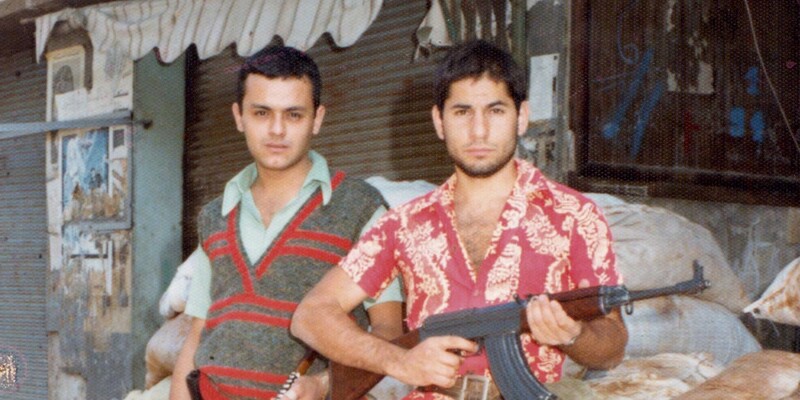 "We did not look like the little American blondes we could see in the movies," writes Markar Melkonian in his book on his brother Monté, The Road to My Brother . " The rest of the day, and during the days and months that followed, my brother reflects on the question asked by Blanca: where do you come from?" . . .
Monté Melkonian: a hero or a terrorist? The Riddle of Monte Melkonian : Family and friends wonder how a Visalia Cub Scout with no interest in his roots ended up as a terrorist and Armenian war martyr. VISALIA, Calif. — Here in this San Joaquin Valley farm town, they still marvel at the transformation of Monte Melkonian from local Cub Scout with a talent for languages to international terrorist to Armenian war hero. ATHENS, Greece (AP) _ An assassination team of two masked men fired blasts from a sawed-off shotgun Thursday to kill Agop Agopian, the founder and leader of an Armenian terrorist group feared throughout the world. Agopian, who posed as a Lebanese businessman in Athens but also carried a South Yemeni diplomatic passport, was shot outside his home in a prosperous seaside suburb. Police identified the wife as Janil Titizian and said she told them her husband recently arrived from South Yemen and was on his way to Yugoslavia. She said he was bound for the airport when killed. ASALA, standing for the Armenian Secret Army for the Liberation of Armenia, has claimed numerous terrorist attacks against Turkish targets, including the July 1983 bombing of the Turkish Airlines desk at Paris’ Orly Airport which killed eight people and wounded 56. The group seeks the foundation of an independent Armenian state in eastern Turkey. Agopian was killed outside his house in the Old Phaleron suburb at 4:30 a.m. (9:30 p.m. EDT Wednesday) as he waited for a taxi in the street outside his home. With him was a woman identified as his sister-in-law. She was unhurt. According to a police spokesman, who spoke on condition of anonymity in accordance with Greek practice, two armed men emerged from a parked car. One man fired at Agopian, using solid shotgun slugs, the type used in Greece for boar-hunting. Agopian, hit with two slugs in the chest and elbow, tried to flee. The man ran after him and fired two more slugs into his head and chest. The attackers got away in a car left parked across the street from the second-floor apartment where Agopian and his wife lived. The victim was first identified as Abdul Mohammed Kashim, 39, from a South Yemeni diplomatic passport he was carrying. But following reports from Paris saying the dead man was the long-sought leader of ASALA, the ministry said his wife revealed his real identity. ″He’d lived in Athens for at least a year, possibly longer, as Henri Titizian, but he traveled abroad very frequently on the Yemeni passport,″ said a police source, who spoke on condition of anonymity. The source said Agopian planned to open a supermarket in Athens. Agopian, whose name has also been given as Hagop Hagopian, was reported killed in an Israeli air raid on a Palestinian camp near Beirut during Israel’s 1982 summer invasion of Lebanon. But there were also reports that Agopian was still alive and active in the terrorist organization he had founded, and had merely changed identities. Armenian sources in Athens, speaking on condition of anoymity, said Agopian was born in Iraq in 1945, and that his name was most likely a pseudonym. ASALA, founded by Agopian in 1975, claimed responsibility for more than 60 attacks on Turkish targets, including killings of around 30 Turkish diplomats and dependents in Western Europe and the United States. Agopian ran ASALA from Beirut with funding from the Palestine Liberation Organization and leftist groups. Besides seeking the creation of an independent Armenian state in Turkey, the Marxist-oriented organization vows to avenge a massacre by Ottoman Turks in 1915-16 that it says left 1.5 Armenians dead. Both security police and ministry officials declined to say whether a rival Armenian group could have been responsible for killing Agopian. The French news agency Agence France-Presse reported in Paris that Thursday’s killing may have been the work of the ASALA-Revolutionary Movement, an Armenian commando group which separated from the main organization. The head of that group, American archaeologist Monte Melkonian, is serving a six-year term in French prison for criminal association, weapons possession and forging identity papers. The ministry said security police were still questioning Mrs. Titizian. The police spokesman said Agopian was booked on an early morning Yugoslav Airlines flight to Belgrade.